At James and Sons we have a large and diverse property management portfolio, ranging from individual residential properties to multi-let industrial estates across the Dorset & Hampshire region. We see property management as a vital function to maintain and improve the value of property assets, which brings together many of the varied disciplines of the surveying profession. We utilise our knowledge and experience to minimise the problem issues for a wide range of clients including pension funds, property companies and private investors. We tailor our property management service to the individual requirements of a client and strive to be pro-active in response to the changing statutory requirements and tenants’ circumstances. Commercial Property Management – Including retail, office and industrial. Residential Block Management – Including mixed used commercial & residential. Residential Lettings – Ranging from studio flats to detached houses. Liaison over tenant licences for alienation, alteration, and change of use. Project Management of refurbishment works. Repairs, maintenance and refurbishment project management. The company operates a fully computerised management accounting system to ensure that all rental receipts are remitted to the client’s bank account with the minimum of delay. 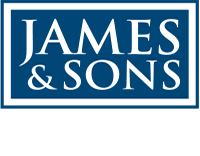 Being a firm of Chartered Surveyors, James & Sons are regulated by the Royal Institution of Chartered Surveyors (RICS) and hold a Designated Professional Body Licence. This provides for us to be able to deal with any insurance claims relating to the property and also provides for us to arrange the building insurance with brokers/insurance companies. James and Sons are also members of the Deposit Protection Service (DPS) whereby any residential Assured Shorthold Tenants’ deposits taken are paid over to the DPS being a Government approved Tenancy Deposit Scheme.